In Pakistan, one of the most pertinent issues plaguing the nation is terrorism. People read stories about this menace, but few are taking a targeted approach to mitigate this evil. After doing extensive research, Gauher Aftab, Mustafa Hasnain, and Yahya Ehsan decided that the genre of graphic comics is a growing medium that can take the message to the right audience. CFx Comics aims to tell stories across all multimedia platforms, including comic books. Hasnain, a U.K.-educated computer graphics specialist, founded his own company, Creative Frontiers, in 2013. The firm today employs 20 people, including young male and female artists, programmers and writers. They are based out of a hip Silicon Valley-style office in the Pakistani city of Lahore. 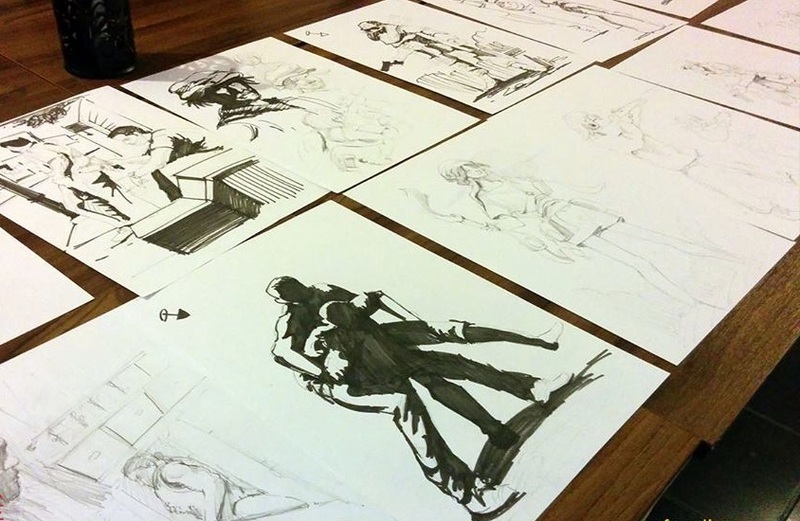 Earlier this year, CFx Comics created a new platform for the young generation. 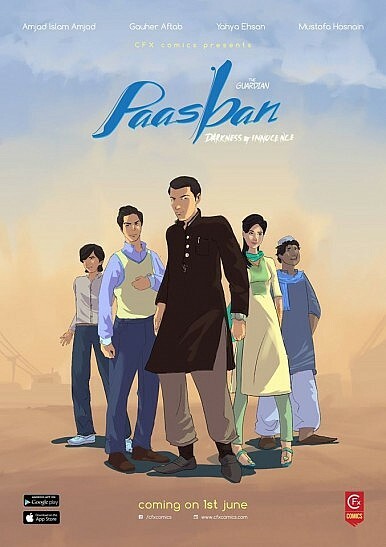 Paasban (The Guardian), Pakistan’s first digital comic book series, is a three-issue graphic novel that highlights the issues of religious extremism in Pakistan and encourages youth to counter this problem. The story is based around four young characters: Saad, Irfan, Asim, and Zara. Paasban’s story arc tackles the topic of violent extremism while taking a very close look at the psychological reasons that contribute to the development of an extremist mentality. The plot revolves around one of the protagonists, Asim, who joins a ‘charity organization’ that preaches extremist ideologies. The book later showcases how his friends decide to bring him back from the clutches of violence. The story was translated from English to Urdu by the legendary writer and poet Amjad Islam Amjad. In essence, the story is about empathy, friendship, and the will to save the ones we care about. Aftab and Hasnain had been working on the story for two years, but the catalyst that accelerated the process was the Peshawar school siege in December 2014. That terrorist attack killed more than 140 children. Hasnain remembers going to vigils and protests in the wake of terror attacks, but decided that he had to do more to use his capabilities. “I realized what we can do instead is to use our strength to create good quality content and spread awareness about why and how extremism matters,” he said. After Paasban’s success, CFx comics has presented a new series titled Haider. The Haider series aims to tell the stories of Pakistan’s finest heroes in an illustrated form, immortalizing their tales of courage and sacrifice to inspire coming generations. The first story of the Haider series, titled “5 Days of Glory,” was released on September 6 to commemorate the 50th anniversary of the 1965 India-Pakistan war. The epic two-part comic is about Maj. Aziz Bhatti Shaheed’s defense of Lahore at Burki, and will be available for free on their website in both English and Urdu. The second part of the story is scheduled for released before September 22, the final day of the 1965 war. The Haider series will also be available on the free CFx Comics app. CFx Comics has also launched a free app that allows people to read Paasban on mobile devices, and plans to release another 49 volumes in the series. 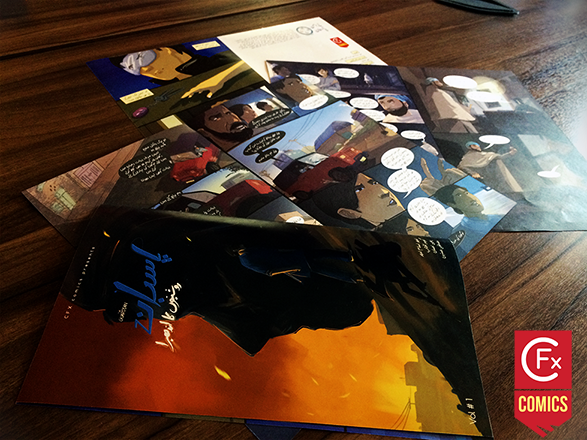 Given Pakistan’s smartphone explosion, Aftab believes that the graphic novel (digital and print) is a natural choice of medium to spread the message in a strategic attempt to eradicate violent extremism. The project is funded by an NGO called Hope Alive. Fifteen thousand books have already been distributed across schools in the cities of Lahore, Multan, and Lodhran — cities that are considered to be among the hotbeds of extremism in Pakistan. Backed by extensive research, the team members of Paasban conducted a study of how children are recruited and the psychology behind the motivation to join extremist groups. Hasnain emphasized that, in the end, it may be a personal choice, but what are the causes? This is one of the many crucial questions the team behind CFx Comics aims to answer.